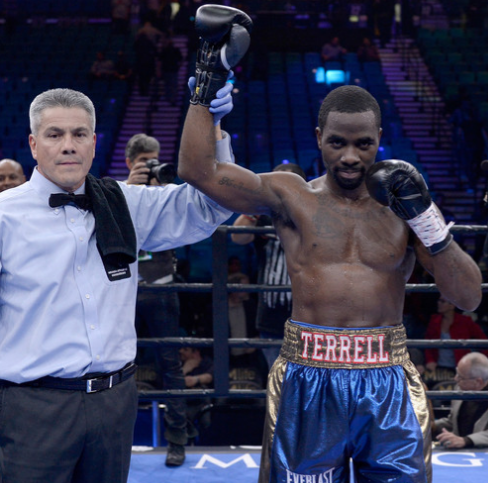 Cleveland native Terrell Gausha will put his undefeated record on the line when he takes on Erislandry Lara for Lara's WBA Super World Super Welterweight and IBO World Super Welterweight titles. Gausha, 29, is currently 20-0 having last fought in February when defeated Luis Hernandez by decision in Toledo. A former five-time Cleveland Golden Glove champions and 2012 USA Olympian, Gausa will be facing the stiffest test of his professional career when he steps into the ring at the Barclays Center on October 14th against Lara. Lara, 34, is currently on a five-match win streak since losing to Canelo Alvarez in 2014. In his last bout, Lara defeated Yuri Forman by knockout in January to improve his career record to 24-2-2. Also appearing on the stacked triple-feature card which will televise on Showtime will be Jamell Charlo taking on Erickson Lubin and Jarett Hurd taking on Austin Trout. Youngstown Boxing News will have more details concerning this bout as fight night draws closer.